Our online questionnaire consists of 17 questions, mainly multiple choice, and should take no more than 3-4 minutes to complete. To evaluate FLOODrisk 2016 and have your say, please click here. If you would like to provide us with more detailed feedback you may email us at info@floodrisk2016.net. We thank you again for your participation at the event and would greatly appreciate your feedback. Whether you attended FLOODrisk 2016 or not, you may be interested to see the large collection of photos that were taken by various members of the organisation team here. You can also see a social timeline of the event, day by day on the FLOODrisk 2016 Storify page. To view this social overview please click here. The proceedings were part of every delegates pack butyou can also now access this online on the E3S web of conferences website, by clicking here. From all of us at FLOODrisk 2016 may we wish you a very happy holiday season and New Year! The first cycle of implementation of the EU Floods Directive has now been completed, and the Member States are moving into the second cycle, to be completed in 2021. In this special session, some feedback on the views of the authorities for the Member States will be given on the successes and difficulties of the first cycle, and the challenges and opportunities of the second cycle, as captured at a workshop in Vienna in April 2016. The preparation for the second cycle must however be informed by the new and emerging science, and we are looking for the input of scientists, researchers and practitioners to give their views on what can be done better and how, and what new technologies and research is available to inform the approach and implementation of the Directive by the Member States in the second cycle to refine and improve what has been achieved to date. The output of this Session will be a report on the views and information provided at the Session, that will be issued to the Member States and the Commission, and be presented at the EU Working Group on Floods. Cross-Cutting Issues: Various factors need to be considered across all aspects of the Floods Directive, including climate change adaptation, stakeholder engagement, assessing, communicating and providing for uncertainty and appropriate levels of detail. We would ask that you register now to book your place at this event and to have your chance to provide input to the implementation of effective flood risk management across Europe. To register, please complete email your interest to: mark.adamson@opw.ie. It is now just one week until registration will be open for FLOODrisk 2016 and we are very excited about meeting you all in Lyon! As a presenting author of a poster presentation we thought you should know what to expect and what to prepare in advance. Registration will open at 14:00 local time on Monday 17th October and will be open every day of the conference should you only be attending one day. When you register you will be asked for your name in order for us to find your details and issue the delgates pack and name badge. If you can bring a copy of your invoice that would greatly help the process. At the reception desk you will be directed to the poster hall, in order to hang your poster on the allocated board, and you will be asked for a digital copy of the poster, if you wish it to be made available on the website after the conference. Please note any posters left hanging on Friday morning will be taken down and we can't return them, so please take the with you if you would like to use them again. You should already have seen the poster presentation schedule with your allocated session but if not you can find it here - http://floodrisk2016.net/programme/poster-presentations/. Please ensure you are present for the duration of the session which will start at the first presentation listed under your session. A chair person will be present to coordinate and allow for questions if time permits. I hope any other questions you have can be answered via our website where we have useful information regarding the venue and travel - http://floodrisk2016.net/venue--accommodation/location/. Should you have any additional questions please email info@floodrisk2016.net. Have a safe trip to Lyon and we look forward to seeing you all next week! 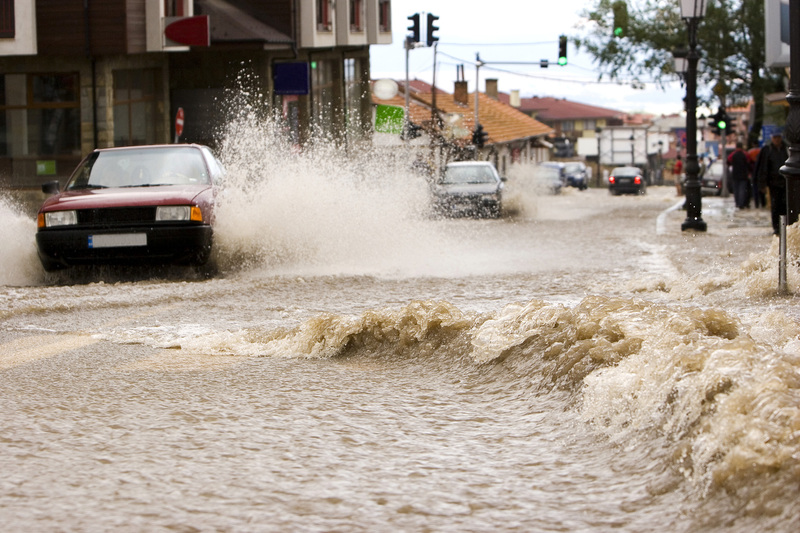 Established in 1974, XP Solutions is a world leading provider of industry standard sustainable drainage and flood hazard software for the civil engineering and environmental sectors. Our reliable software technology and professional solutions are used every day around the world by government agencies, engineering companies and environmental management organizations to plan, design, simulate and manage the impact of human interaction with the natural world. XP Solutions brings over 40 years of experience in developing and supporting professional software systems devoted to improving our use and understanding of water resources, and has expanded its expertise to include a broader scope of designed infrastructure. From designing drainage systems and managing water quality, to mapping flood risk and emergency response and road and site design, our solutions provide our clients with the efficient tools needed to promote safer communities, sustain ecosystems, optimize infrastructure investment, and manage environmental impact. XP Solutions is devoted to developing tools that allow our clients to succeed in their project work. Our clients range from small engineering firms where one or two engineers provide site planning and drainage design, to global professional service companies that have teams of hundreds providing water resource management and environmental services, to governmental agencies charged with regulating and protecting the infrastructure of the world. When you work with us, you will find that we are committed to more than providing a product; we are committed to earning your confidence through advancing technology, supportive relationship and problem-solving solutions. 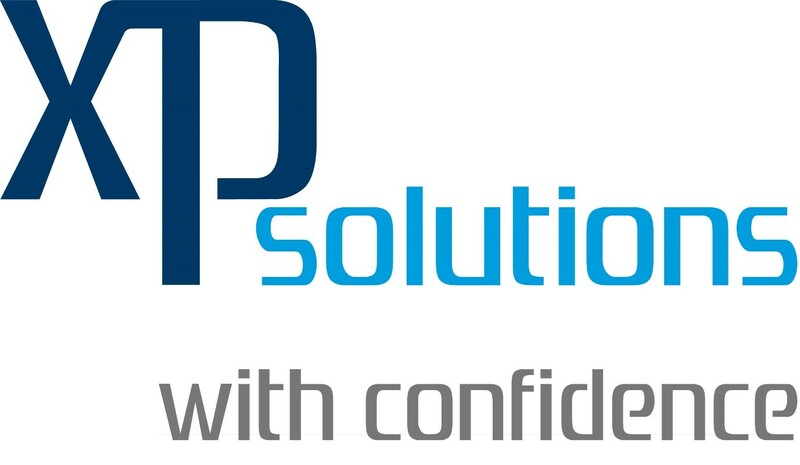 XP Solutions is comprised of professional engineers, accomplished software development professionals, and dedicated client service managers' all armed with a wealth of industry knowledge and experience working together to provide solutions to our clients. With company teams supporting the Americas, Asia Pacific and Europe, Middle East and Africa regions, augmented by distributors around the world and a network of professional research and development associations, our people possess the expertise and innovation built into each of our software solutions. To find out more please come and visit their stand in Lyon in October (stand number 35) or visit their website on www.xpsolutions.com. It is now just one week until registration will be open for FLOODrisk 2016 and we are very excited about meeting you all in Lyon! As a presenting author of an oral presentation we thought you should know what to expect and what to prepare in advance. Registration will open at 14:00 local time on Monday 17th October and will be open every day of the conference should you only be attending one day. When you register you will be asked for your name in order for us to find your details and issue the delegates pack and name badge. If you can bring a copy of your invoice that would greatly help the process. Full instructions for speakers can be found here - http://floodrisk2016.net/assets/dms/ChairInstructions.pdf but in addition, at the reception desk, you will be asked for a copy of your powerpoint presentation and a short bio. To speed up the registration process you may submit these prior to the conference by emailing the presentation and bio to info@floodrisk2016.net, including your submission reference in the subject. You should already have seen the detailed programme with your allocated session but if not you can find it here - http://floodrisk2016.net/programme/detailed-programme/. A chair person will be present to coordinate and allow for questions. You can also find additional information about special sessions, side events and poster presentations taking place during the week on that page. Flood Emergency Response Community of Users – from theory to practice? This side event to the FLOODrisk2016 conference aims to identify practical, efficient and intuitive ways to support working practice of the Emergency Response Community of Users – in this instance, in relation to flood risk management and emergency response. The morning sessions will facilitate group discussion as to how interactions amongst science, policy, industry, practitioners (first responders) and citizens via local actors could be orchestrated at different levels (international/EU, national, regional/local) via networking developed within the EU "Community of Users on Secure, Safe and Resilient Societies" as well as the Disaster Risk Management Knowledge Centre, and with inputs from various H2020 projects, such as the Anywhere project with a focus on floods and flood management . This session will also integrate findings from the Special Session on Emergency Response Management held on Thursday 20 October 2016. As a significant research organization focusing on the study and management of water risks for over 30 years, Irstea - National Research Institute of Science and Technology for Environment and Agriculture - works to understand and prevent these phenomena as well as to reduce their impact. The organization supports public authorities and provides a range of knowledge, tools and methods helping to prevent and predict floods, from knowing rainfall levels to managing bodies of water that may threaten people and infrastructure, taking into account structural resistance and the socio-economic impacts of the risks. Irstea’s approach integrates a variety of environments and climate contexts (mountains, prairies, urban, forest, agricultural, etc.) along with different time and space scales, from km2 to river basins and entire regions. The hydrological and water engineering teams at Lyon, Aix en Provence and Antony specialize in high water and floods and are working on several topics: forecasting, prevention, risk reduction and protection. Economic issues are studied by an Irstea team in Montpellier. Its work includes the resistance of structures and the socio-economic aspects of risk. To reduce this risk, the methods and tools used to implement effective prevention and forecasting measures need to be improved. 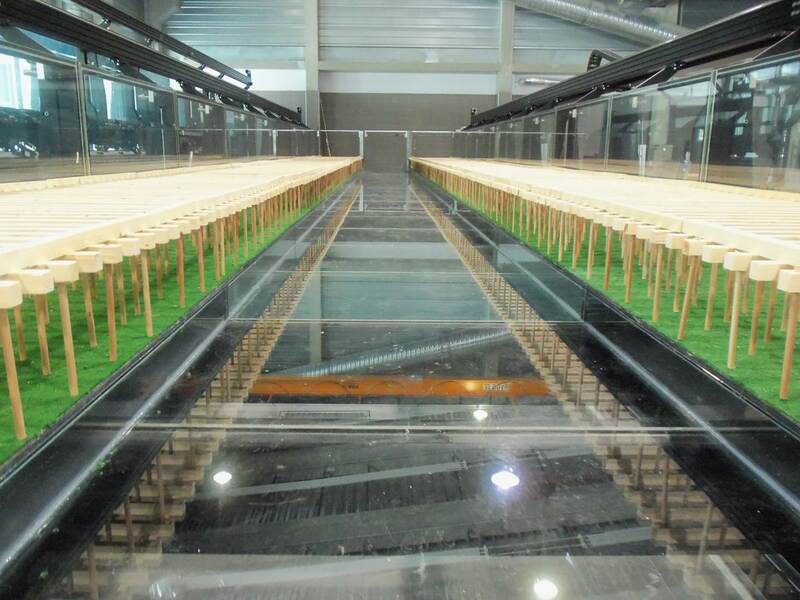 Since 2006, France has a warning system (Vigicrues.gouv.fr) powered by a modeling tool developed by Irstea to forecast high water on rivers equipped with sensors. An Irstea project aiming to forecast flash flooding in non-equipped basins is currently being rolled out in the PACA (Provence-Alps-Côte d'Azur-Corsica) region and will be widely used by National Agencies as a flash flood forecasting tool for the coming months. Organized by Young Professionals with the support of Deltares we would like to invite conference attendees to join us for the Young Professionals Dinner to kick off your time in Lyon. 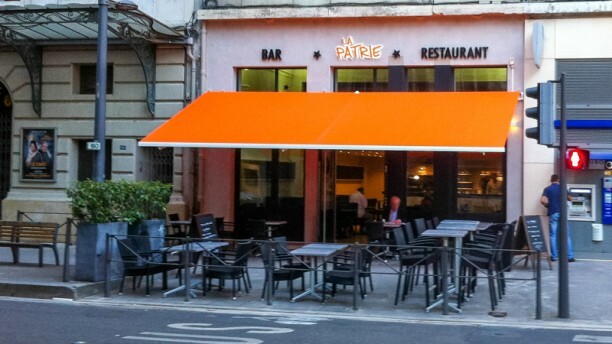 We will get started at Brasserie La Patrie with a networking event complete with a classic French aperitif and an innovative Flood Risk game “Hazards & Measures” followed by a buffet style dinner of traditional French food. HR Wallingford is an independent, civil engineering and environmental hydraulics organisation, delivering practical, economic and cutting-edge solutions to the complex water-related challenges faced by its clients around the world. The company boasts a track record of almost 70 years, and a unique mix of skills, assets and facilities, including state-of-the-art physical modelling laboratories, a full range of numerical modelling tools and, above all, exceptional staff with world-renowned expertise. HR Wallingford has a reputation for excellence and innovation, which is sustained by re-investing profits from its operations into programmes of strategic research and development. Flood risk assessment and management is a core strength. The company leads in the development of scientific methods and models for assessing flood risk; planning and implementing management strategies; and delivering innovative and intelligent risk-based approaches to securing a more resilient future. Urban resilience and adaptation strategies.